My guest this week is the perfect writer to see us into Halloween. 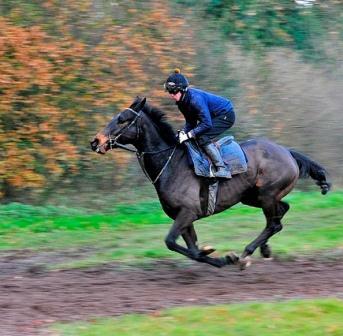 He’s been a guest of the series before and he’s always had a liking for the unusual thrill. The title of his new release will probably tell you that: A House At The Bottom Of A Lake – an imaginative tale with plenty of scares and a good dose of first love. His approach to undercover soundtracks is also oddfield and individual – he likes to play music that feels very opposite of his book idea. But even he had to go with the flow when he found a band that played and recorded an entire show under water. 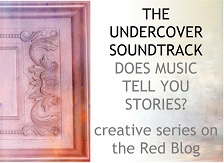 He is Josh Malerman and he’s on the Red Blog with his Undercover Soundtrack. I’m good at giving myself homework. Most of the books or articles I read are part of an organised research list. I’m bad at allowing myself downtime. Even when I decide to read for pure curiosity, the editorial spy is on alert, muttering in the basement. Why was that sentence so devastating? Why do I feel this way about a character? I don’t mind that. It’s the way I’ve always read anyway. But sometimes I need a rest from my forensic brain. And from book agendas. The chance to just poke about, dawdle and wonder. I’m fond of junk shops for the haphazard discovery of oddness. But I really can’t resist art installations. Last week I went to the Cornelia Parker exhibition at the Foundling Museum in London. More than 60 artists were riffing on the theme of ‘found’. A sleeping bag beneath a painting in the grand picture gallery. A cheap plastic mirror left on a chair, looking at first glance like an iPad, but when you peered over it, reflecting a royal icing ceiling. A year’s worth of tickets from a pawn shop, many of them for wedding rings. A stick that had been used to stir paint, and had acquired annular rings of colour, year on year. A collection of playing cards randomly found on streets. A crazy video where a woman described how several vegetables had fallen through her ceiling and landed on her bed, which she took as a holy sign. A bronze cast of a newborn baby, isolated in a room on its own, made even more tiny by the tall walls. A bottle found on the sea bed by a scuba diver, encrusted with organic structures. An unfinished painting from a garage sale, showing a pair of girls with blank faces. A sequence of sofas being sold on eBay, whose buttons and creases seemed to suggest faces. Two manila envelopes folded into an origami shape in the corner of the room – for no reason; just because. Although these artists weren’t working in words, they were doing what writers do. They collected scraps of life and made them into things of fascination, or oddness, or absurdity, or poignancy. Or things that defied analysis, but were just themselves. And they showed it’s amazing what jumps into your mind when it’s off the hook. Where do you go to stop and stare? Over to you. What social media platforms do you like? How do you use them? What works for you and what doesn’t? If you look back over the long term, what have social media helped you accomplish? Any questions? Let’s consult the hive mind. My guest this week describes music as ‘a portable environment’. His work patterns have taken him all over the world and he might find himself writing anywhere from a station waiting room to a hotel lobby or a scorching beach. No matter where he finds himself, the music will put him back where he left off. Perhaps unsurprisingly, his novels explore people who are lost, displaced or caught between cultures and he finds their soundtracks in the work of contemporary classical composers (including one of my own favourites, Olafur Arnalds). He is Toni Davidson and he’s on the Red Blog with his Undercover Soundtrack. Think of all the kinds of novels we might write … from a sensitive character study to a sprawling epic to a nailbiting thriller … are there any common factors they all have? There are. They’re my secret. Actually, they’re not a secret at all. The 4 Cs of a great plot is one of the questions I discuss with Lorna Faith on her writing podcast (which also has a visual, handwaving, grinning version, see right). Lorna quizzes me about the ins and outs of a good plot and we grapple with many storytelling essentials, including structure, turning points and where plots come from. Step this way. I’ve had this question from Elizabeth Lord: I have just finished your book Nail Your Novel and found it extremely helpful for the rewrite phase of my novel. You mention graphs as a way to see where plots are plodding and character arcs intertwine – do you have any examples? What a good question! Diagrams coming up. First, though, a bit of explanation. Readers get bored if the plot appears to be predictable – ie the characters start with a goal and proceed doggedly towards it, step by step by step. This is a linear plot and it looks dead dull, like reading the syllabus for an education course, not a story. So when the characters have a clear goal at the start, we try to introduce developments that upset expectations. They’re going on the Orient Express? Great. Make one of them miss the train. Now everyone has a new problem that matters far more. So your first drawing exercise is to go through the plot looking for points where you throw in a development that changes the characters’ priorities in a significant way. Make a ‘didn’t expect that’ diagram. You want several of these developments, BTW, and they’ll probably be the main turning points in the story. Note also that they’re emotional. They’re about changing the characters’ goals – the things they want, the things that matter to them. So early in the story, they’re trying to catch a murderer. By the end of the story, they’re trying to stop the murderer killing their wife. Or murderer and detective are embroiled in a towering love affair. Another helpful diagram might look at the main characters’ emotional state throughout the book. You want them to feel increasingly pressured and troubled, and you want their worst moment to be the climax of the book. So try a diagram where you look at their levels of joy and achievement versus despair. The joy part isn’t so important, although you want to give your characters a few breaks so that the disasters are more agonising – and also to show what matters to them. Make sure the despair increases in magnitude as the story proceeds. You can look for smaller reversals too. You might not realise you’ve made everything too easy for your characters. Every time they need to accomplish something, make it harder than they expect. Or make it backfire. You can check on this by going through your manuscript and drawing a little circle whenever you’ve thwarted your characters. If you have a lot of little circles, you’ll probably keep your reader gripped. If you haven’t, you know to throw some spanners into their spokes. If you have several plot strands or main characters, you could combine them on one diagram and use different colours. Thus you will see, at a glance, how your character arcs intertwine and if you like the harmony of their highs and lows. Or you might spot a general lull where several characters seem to be having a successful run – in that case, it might be good to rework the story and introduce a setback or twist. If you’re the kind of person who has music manuscript paper lying around (how stylish of you), you could draw your diagrams on the staves, like lines for different instruments. The serious point is this: these exercises are ways to extract and visualise important plot mechanisms that might otherwise be invisible to you, and help you fix problems with the structure and pacing. Have fun! Elizabeth’s question was inspired by a section in Nail Your Novel: Why Writers Abandon Books and How You Can Draft, Fix and Finish With Confidence. There’s also a lot more about plot and structure in Writing Plots With Drama, Depth and Heart: Nail Your Novel 3. Do you draw diagrams to assess your plot – or any other aspect of your book? Share them here! This time last year a main concern was how indies were feeling the pinch with dwindling sales. Did we think it could get worse? Oh but it has. There are even more books for sale. Subscription services like Kindle Unlimited are changing the way readers perceive value. Authors who don’t enrol their books seem to get less exposure in the magic Amazon algorithms. Does that mean it might be better to hold out for a book deal? Well, there are pros and cons, and the points I wrote last year still stand. So what of traditional publishing? Were we hoping that traditional publishing might enter a new era of enlightenment, with transparent, fair deals and true author-publisher partnership? Well it hasn’t happened yet. Publishers are feeling the squeeze too much to be generous and forward looking, or to embrace new methods of working. Authors still have to scrabble hard to avoid the contract traps of rights grabs, reversion clauses that never revert and discount sales that don’t qualify for a proper royalty. A traditional deal might get you kudos or help with marketing, but this is often shortlived. Unless you strike lucky, it may not be as good as you could drum up yourself. I have a traditionally published author friend whose first book series won awards. His second series launched recently, and the only publicity was a tiny mention in the Sunday Times. With a traditional deal, you’ll get editorial services (of course). But a lot of corners are being cut. Publishers are slimming their departments and farming the work out to freelances. Or maybe they’re not even doing that. Over Christmas I was talking to an editor friend who this year proof-read a batch of books for paperback release. They were already out in hardback, so this was supposed to be a just-in-case read. In book after book, she found appalling errors – inane grammar, impenetrable sentences, stupid inaccuracies and plot improbabilities. These weren’t unpublished manuscripts, remember; they were books that had been through the process. I do, of course, know several authors who are happy with their publishers. All of them have one thing in common; without exception, they never tried self-publishing. I’ve only just realised this as I write and it’s quite startling. Let’s examine the comparison from other angles. I also know several authors who self-published first, then got book deals – and felt they were much better off as indies. Some of them halted the process, gave back the advance, and reassembled their indie publishing team. That’s still not looking good for traditional publishing. Let’s try to give it a better crack: I know several traditionally published authors who ventured into self-publishing … and decided they were happier without the extra burden. Ultimately: what do you want? It’s probably unfashionable to say this, but many authors still hope for the old-style deal. There is undeniable satisfaction in having a book accepted. Also, you don’t have to learn the mysterious processes necessary to produce a book. And as for marketing….. Hold it there. Whether you get a book deal or not, you will have to be your book’s ambassador. Always. Indeed, if your book is a serious contender for a publisher’s list, one of the things you’ll be judged on is your online reach. If you haven’t built one, you’ll be urged to start. The publishing deal will not let you ‘just write in peace’. You have to be a marketer as well as a writer, no matter which path you choose. The part that you can offload, if you wish, is the book production. Does this illuminate where the traditional publisher’s guaranteed contribution is? As ever, I throw the floor open to you. What are your publishing plans for 2016? Have your views changed from last year? 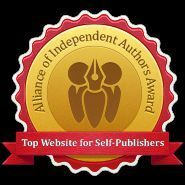 Are you a self-publisher who’s had a traditional deal and what are your experiences comparing the two? If it’s not too late for resolutions, dare I ask if there are any you’d like to share? My guest this week says she would like to be able to play the piano to concert standard, but since she can’t, she uses words as her instrument of enthrallment. Pianos are central to the plot of her latest novel, a historical romance in which four nouveau riche fathers attempt to marry off their daughters by displaying their talents in a music recital. Mayhem ensues, con brio. She says her musical ear guides her writing; Bach helps her to listen to the cadence of words and Purcell reminds her, in the most emotional way, that writing is all about remembering. (Are you guessing that Dido’s Lament might be coming up?) She is Royal Literary Fund Fellow Katharine Grant and she’s on the Red Blog with her Undercover Soundtrack. 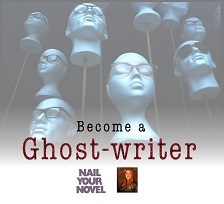 November is when web-aware writers get their speed boots on; NaNoWriMo is afoot. We’ll see growing wordcounts reported around the tweetwires, in the forums and Facebook groups. I’ve never formally Nanoed, but I’m definitely a fan of the fast first draft. Here’s why. It’s not just about speed for its own sake. It’s about harnessing all possible oomph from that initial ride of discovery with the characters. This draft is when we first make them speak and act instead of viewing them from a distance in note form. I’ve found a fast, intense blast is the best way to capture this in full vividness. I’ve also learned what disrupts the flow – so here are five tips to keep the ideas coming. 1 Ignore the language. If the perfect wording comes to mind, fantastic. But my main aim is to write what I see, and that’s a scramble in itself. I just get it in the can. In any case, those scenes might be repurposed in edits, given to different characters, the roles may be swapped. Buffing the nuances would be a waste of time. So I don’t worry at all about whether my prose is fit to show around. I just hurl it onto the page. 2 Postpone the research. There are two kinds of facts you need for a novel. 1 The facts to check your story events are possible, or to find ingenious surprises from the special conditions of the story world. Usually we sort these out while we’re outlining. 2 Smaller details that arise while we’re writing the scene. Oh dear, you need to know what pall-bearers wear? No you don’t, because it doesn’t greatly affect what anyone will say or do. I scrawl a note in square brackets – [find out] – and continue to channel the action. 3 Don’t worry about factual consistency within the book – did this event happen on a Thursday, and was it twenty years ago? In most cases, you don’t need to sort your timeline out as you draft. Again, a short phrase in square brackets will allow you to flag it for later. 4 Or what characters look like. Eek, you’re writing your main character’s ex-lover for the first time. Or your main character. What do they look like? What’s it like to be in a room with them? If you haven’t already thought about this, you might grind to a halt, go squirreling off through Google, looking for actors who have the qualities that you’d like, or other things that help you visualise. But you don’t need to know this now. Write [what does he look like] and carry on as if you already know. 5 Or the beginning. You can’t know what the proper beginning of the book should be until you’ve polished the draft multiple times, so don’t fidget and dither about it now. Write a scene that roughly does the job – and you’re in. Do you have any tips for smart drafting? How detailed are you about your first draft, and are there any tasks you leave until later? My guest this week is a writer of non-fiction. Her book is an exploration of the legacy of the World Wars on mental health – the soldiers who developed shell shock, broke down afterwards or endured their nightmares in silence. And those on the home front too, the families torn apart by grief or traumatised by air raids. Her soundtrack is honest and searching, seeking a way to do justice to a tough subject. There is the gentle despair of Nick Drake, the Question of the Moody Blues, and a reading of Wilfred Owen by Kenneth Branagh. The author is Suzie Grogan and she’s on the Red Blog with her Undercover Soundtrack.